Vaughan Designs will unveil a new collection of articulated library and reading lights in brass at London Design Week 2018. A series of paired fabric lampshades and brass spun shades in different shapes will accompany the lights, all to be unveiled at the annual event, which takes place between 4-6 March for trade guests and from 7-9 March for all other attendees. London Design Week is the seminal event for the latest design products and trends. Vaughan Designs were set up in 1983. 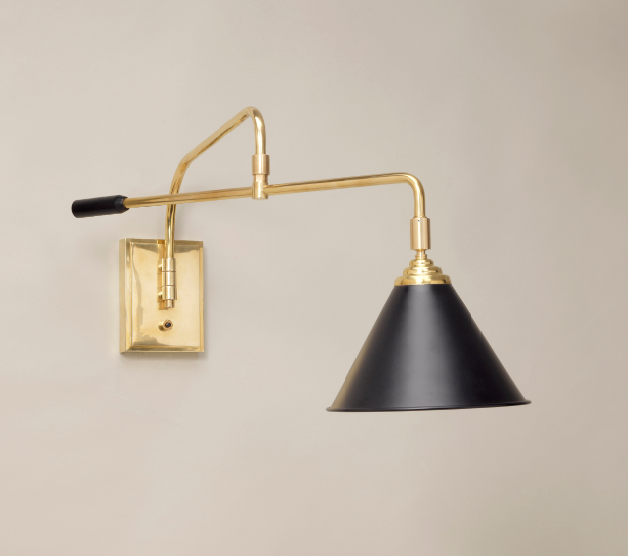 The company is run by a former antiques dealer who identified a gap in the market for both stylish and classical lighting fixtures, which appealed to modern buyers. Our header image, and the image below, are two examples from the new collection. Vaughan will also boast a new addition to their floor lamp collection at the event, available in brass or bronze, with a glass table and mirror wall light attached. 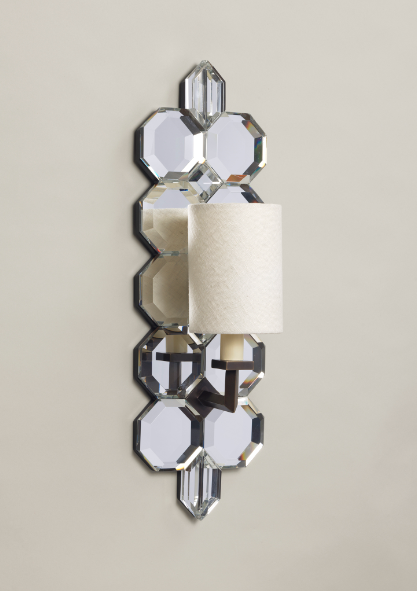 The light will feature jewel shapes and an embroidered linen design, with blue motifs. The Vaughan business has grown from lighting to incorporate furnishings, needlework and fabrics and their full collection can be viewed online, or at their showroom at London Design Week from March 4th.